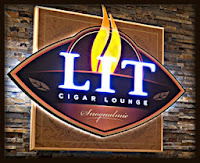 Cigar Wars Returns @ Lit! 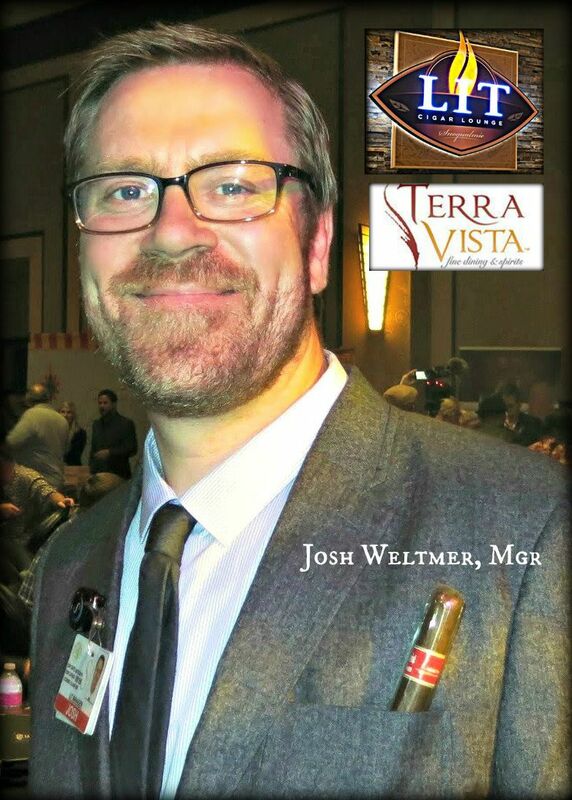 We are excited to announce the return of one of our favorite promotions - Cigar Wars! Beginning this Tuesday, and continuing each Tuesday until we announce the winner, come take part in this popular promotion that challenges your palate and encourages you to get out of your comfort zone and try a new cigar that you may not otherwise have chosen. For only $10, you'll receive an unbanded cigar to smoke and rate along with a featured cocktail or spirit from our Cigar Wars menu. Once you've rated your cigar, you'll then learn its identity! 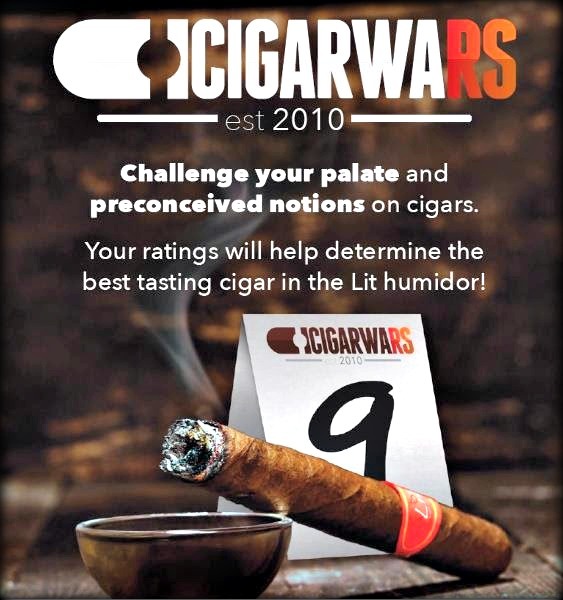 Ten different cigars will compete for your designation as Cigar Wars champion, taking the title from the reigning champion, Romeo y Julieta's RoMeo. Why let Cigar Aficionado have all the say as to what the ratings are? Join us for Cigar Wars this Tuesday and each following Tuesday until we've rated all 10 cigars and declared a champion! We have a limited amount of VIP packages available that include 3 Drew Estate cigars, including the 94 rated Liga Privada No. 9, a Drew Estate torch lighter and cutter as well as reserved seating in the front of the show! 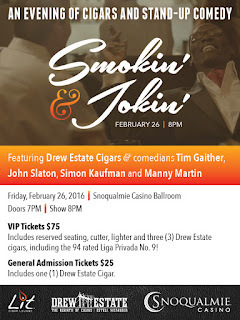 General Admission tickets are $25 and include one Drew Estate Cigar. La Flor & Crown Royal Rye event Tomorrow @ Lit! With the playoffs in full swing, we are excited to announce that we are the only shop in the state to be getting La Flor Dominicana's limited 2016 football cigar! This cigar was created to be sold exclusively in California, the state hosting this year's big game. However, we struck quickly and took advantage of some confusion among the LFD sales team to get a limited amount for Lit! Join us on Thursday, January 21 from 6-8pm in Lit as we feature this beautiful and limited cigar from one of the cigar world's most acclaimed manufacturers! We'll also be joined by the good folks from Crown Royal whisky as we feature their Northern Harvest Rye, recently named "World Whiskey of the Year" by Jim Murray's Whiskey Bible! We'll have great deals on both the LFD Football cigar along with specials on Crown Royal and some fun giveaways! See you at Lit this Thursday! The lounge will be reserved for a private event on Sunday, February 7th from 2-8pm. 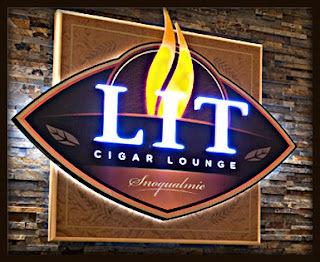 The bar and humidor will be available for walk-in cigar and drink sales. We apologize for this inconvenience. News from Lit: Announcing our next big event! With the playoffs upon us, we are excited to announce that we are the only shop in the state to be getting La Flor Dominicana's limited 2016 football cigar! This cigar was created to be sold exclusively in California, the state hosting this year's Big Game. However, we struck quickly and took advantage of some confusion among the LFD sales team to get a limited amount for the our 12s! 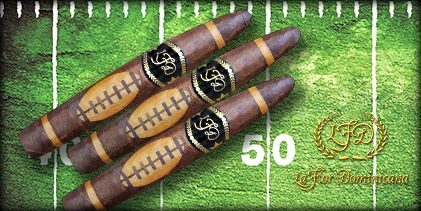 We'll have great deals on both the LFD Football cigar along with specials on Crown Royal and some fun giveaways! See you at Lit next Thursday!